Why are You Stressed at Work? Do you feel physically healthy? Are you eating properly? Are you getting enough sleep? Is it possible that you have a health condition that is draining your energy? When we don’t feel well physically, it makes it significantly more difficult for us to cope with the daily stresses of life. Take care of your body and see a doctor if you have any health concerns. Is there something in your personal life that is causing your stress? We are not machines. When something is bothering us at home, it can be difficult to focus on work. In addition, many of us struggle with finding a work/life balance. If balancing your work and home life is causing you stress, your employer may be able to offer you some support or flexibility. How long have you been feeling stressed? Have you been feeling overwhelmed for just a few weeks or has it been dragging on for a while? Is it possible that you are going through a stressful period and that things will soon settle down? If this is the case, you may just need to hang on and wait for things to get back to normal. However, if the stress has been overwhelming for more than a month, then there may be a problem that needs to be addressed. What triggers your stress? When do you feel the most stressed? Is it when you have a lot of tasks but not enough time to do them? Is there a particular person who stresses you out? If you can successfully identify your triggers, it will be much easier for you to address the problem. Look at your work environment. How is the mood at work? Are your co-workers stressed? Is your workplace a busy and tense environment? If so, stress may be a part of the job. You need to either learn to live with it or find a new job. Remember, the stressful environment could just be a part of the organizational culture. If that’s the case, then you may be happier working somewhere else. Do you face conflicts at work? Many of our jobs regularly put us in conflicts with others (co-workers, customers, suppliers, etc.) If you are regularly encountering conflicts, this could explain your stress. Is there any way that you can avoid or lessen the conflicts that you face in your job? How can you change the way that you handle these conflicts to make them less stressful for you? Are the expectations for your job clear and reasonable? Do you have a clear understanding of what you are expected to do at work? Are you aware of how your performance will be evaluated? Do you feel that the expectations of you are reasonable? Unclear and unreasonable expectations are a common cause of workplace stress. If this is an issue for you, it would be a good idea for you to communicate your concerns with your manager. Very few managers want to set up their employees to fail. Do you enjoy your work? Waking up each day to go to a job that you hate would make anyone tense. If you spend your work day watching the clock and waiting for it to be over, then it may be time to consider a career change. Do you feel like your job is not secure? Have there been layoffs at your workplace? Do feel like if you don’t perform well, you could be next? In today’s labour market, no job is secure. However, instead of letting the stress consume you, get yourself prepared in case the worst does happen. If you keep your skills current, maintain an active network, and have some savings on hand, you will always be ready to find a new job. 1. You are snapping at people. You are usually a patient person, but recently you’ve found yourself responding harshly when people annoy you. Your family and your co-workers have mentioned that you seem to be a little ‘on edge’. 2. Your sleep patterns are disrupted. You are finding it difficult to get a restful night of sleep. On the other hand, you may also be finding that you are sleeping more than you normally do. 3. You find yourself withdrawing from others. Socializing and talking to other people feels like a chore. These days, you would prefer to be alone. 4. Things that used to excite you now feel overwhelming and unmanageable. You have noticed that you are a lot more pessimistic than you usually are. 5. You are eating too much or too little, or you are binging on unhealthy food. You forget to eat, or your decision to eat feels like an emotional one. 6. You find it difficult to concentrate, and you have been forgetting things. You feel like you can’t trust your own judgement. 7. You are constantly worrying. Your mind is an endless loop of the various stressors in your life. You are finding it difficult to turn it off, even for a moment. 8. You have been getting frequent headaches, stomachaches, or other aches and pains. Stress often manifests itself in body pain. 9. You have been neglecting your responsibilities. You have been putting off important tasks, and you are not performing to your normal level. Your co-workers are wondering what has gotten into you! 10. You are turning to substances, such as alcohol, cigarettes, or drugs to help you relax. Many people have a drink now and then, but if you need it to get you through the day, it is a problem. With all of our competing demands, many of us push ourselves too hard from time to time. However, we need to realize that this is not a sustainable way to live. We tend to take our mental health for granted, and that is a mistake. It is important that you take care of yourself. If you are exhibiting signs of stress, then slow down, and try to do what you can to lighten your load and relax. You do your best at work, but it is never enough. There are not enough hours in the day. You are failing at your job. You are depressed and you are tired. You are suffering from workplace stress. According to Statistics Canada, “in 2010, 23.5% of Canadians aged 15 and older reported that most days were ‘extremely or quite a bit stressful,’ up from 22.3% in 2008.” This increase is disturbing because according to Health Canada, stress is considered a risk factor in heart disease, some types of bowel disease, and mental illness. 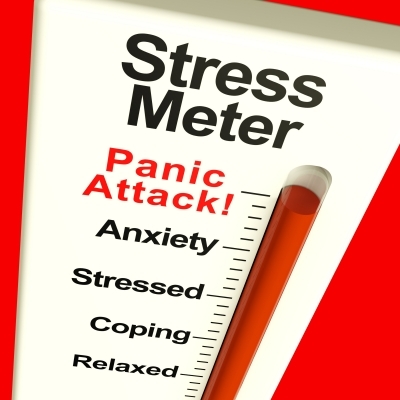 So how can you protect yourself from workplace stress? You need to be able to understand the symptoms, and to arm yourself with strategies to prevent and alleviate it. Do you feel sad, irritable, or guilty? Have you been sleeping more or less than usual? Have you been eating more or less than usual? Are you having difficulty concentrating or making decisions? Are your thoughts mostly negative? According to Health Canada, these are all symptoms of stress. In order to combat stress, first you need to understand it. What is triggering your stress? Some typical workplace stressors are: a demanding supervisor; too much work to do; unrealistic time constraints; regularly dealing with people who are upset; or having little or no control over how you spend your work day. Make a note of when you feel particularly stressed. This will help you to identify your stress triggers. Once you know what is causing your stress, start taking steps to remedy the situation. You will continue to feel this stress until you either solve the problem, or learn to live with it. While confronting the problem, could be difficult and unpleasant, it is better (for your health) than letting the problem persist, and allowing the stress to consume you. Talk to your friends and family about your stress. Sometimes just the act of talking about it helps to alleviate the tension. Also, since they know you, they may be able to give you some useful advice. If nothing else, it is healthy to have the people close to you understand what you are going through. Find a stress buster that works for you. What makes you feel relaxed? Is it taking your dog for a walk? Going for a run? Painting a picture? Going out with friends? Doing yoga? Taking a small break from your stress by doing something that you enjoy can sometimes provide you with the strength that you need to assess and solve your problem. Every job has stress. It is just the nature of our busy world. The trick is to keep it under control and don’t be overcome by it. Be aware of your triggers, and take action whenever they are present. Most importantly, be kind to yourself. If you put so much pressure on yourself that you make yourself miserable and sick, are the rewards worth the damage that you are doing to your relationships and your health?